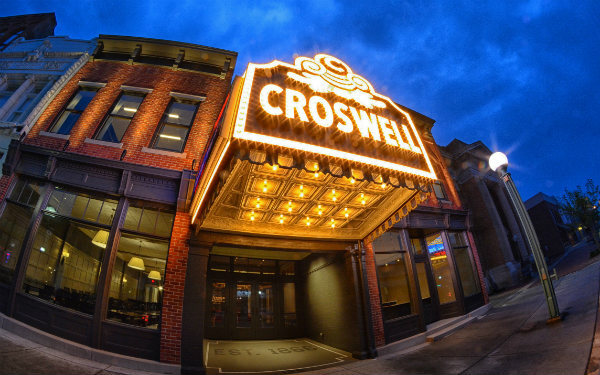 The Croswell's 2019 Season is presented with generous support from the Michigan Council for Arts and Cultural Affairs, with the help of funding from the National Endowment for the Arts. Everyone’s favorite Man Band is back! Under The Streetlamp delivers an electrifying evening of classic hits from the American radio songbook, bringing their unique blend of tight harmonies and slick dance moves to your favorite doo-wop, Motown, and old time rock ‘n’ roll hits. The group was founded by leading cast members (Shonn Wiley, Eric Gutman, David Larsen, Brandon Wardell) of the Tony award-winning sensation Jersey Boys. When their run in that show ended, they formed Under The Streetlamp as a musical celebration. The guys have performed in over a dozen shows on Broadway and have performed all over the world in countless other shows including: 42nd Street, Forbidden Broadway, Rent, American Idiot, Good Vibrations: The Beach Boys Musical, and The Book of Mormon. Performance after performance they prove that retro never sounded so now! Saturday, December 21 at 7:30 p.m.